News from 2011 | Doris S. Michaels Literary Agency, Inc.
DSM Agency author Patricia Crisafulli is now writing a weekly column on creativity and purpose for the Huffington Post. You can read her latest column on the gift of time here. Pauline Hsia has joined the Doris S. Michaels Agency as an assistant. She was most recently with the Queens Ledger. Norwegian rights to Sarah McCoy’s THE BAKER’S DAUGHTER, to Kjell Jorgen Holbye at Gyldendal Norway, in a pre-empt, by Elina Ahlback at Elina Ahlback Literary Agency on behalf of Doris S. Michaels at Doris S. Michaels Agency. 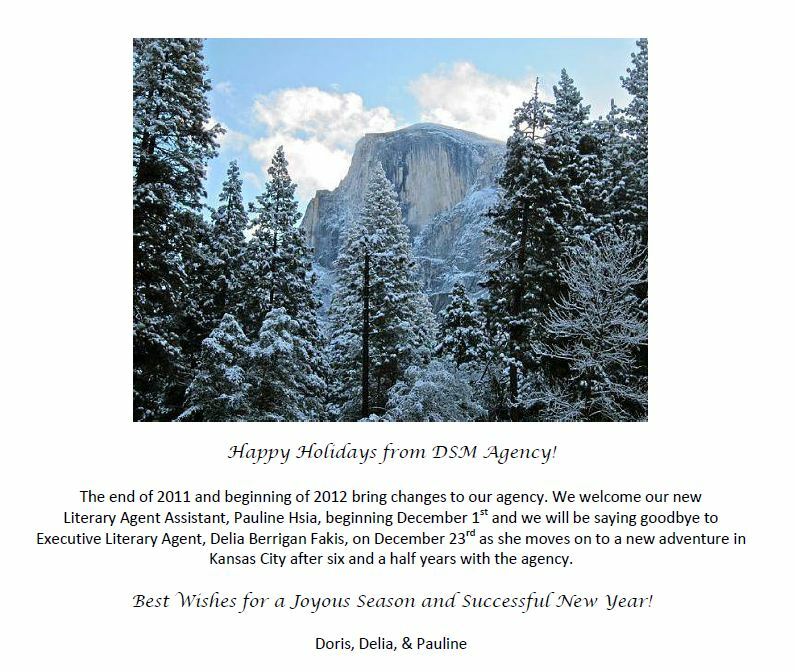 DSM Agency wishes everyone a Happy Thanksgiving. We are so thankful for our wonderful clients and colleagues throughout the world. Non-fiction: Business/Investing/Finance: America’s 1st master sommelier Eddie Osterland’s POWER ENTERTAINING, teaching the power of wine and food to build and strengthen professional relationships, to Lauren Murphy at Wiley, by Delia Berrigan Fakis and Doris Michaels at DSM Agency (World English). 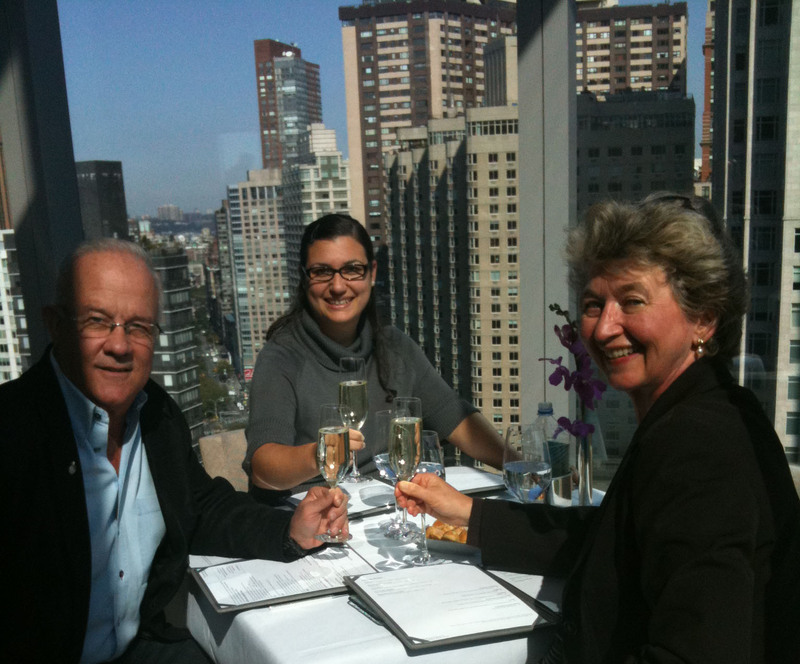 Power Entertaining with Eddie Osterland, Delia Berrigan Fakis, and Doris Michaels in NYC. Fox and Reiss reveal impact lessons from industry game changers based on direct interviews with the best CEOs in the world. America’s 1st Master Sommelier teaches the power of wine and food to build and strengthen professional relationships. Illustrates how self-reflection allows the development of a values-based leadership, that sets the standard for business, that can influence the world at large. Former Director of NASA illustrates a unique 4-D system to analyze team and leader effectiveness, focusing on team culture and managing individual behaviors. NY Times bestselling author Crisafulli pairs with Redmond to talk with high profile people who lost it all and how they successfully came back. The reader journeys by train from Baltimore to Chicago via the perspectives of a diverse array of passengers. A tale of family and heartbreak straddling WWII era Germany and modern day Texas asks: do you betray your fellow man or your loved ones? A look at Rwanda and the turnaround the country has experienced in the 17 years since the genocide, illustrated as a business model, featuring direct access to President Paul Kagame. Uncovering the unspoken rules of self-advocacy learned from the hard-won careers of America’s top businesswomen. The story of 14 men, assembled haphazardly in the late winter of 1896, who sailed to the first modern Games in Athens and won 11 first place medals. Reveals the evolution of drinking water from its origins as a free resource and one of the most powerful forces in nature into one of the biggest businesses worldwide. A self-treatment technique that activates and hydrates the body’s connective tissue to prevent pain, heal injury, and erase the negative effects of aging and active living. Award-winning book reveals not all infertility stories end with a baby – but that doesn’t mean there isn’t a happy ending. A powerful formula that shows you how to build your unique picture of happiness and demonstrates in a straight talking style how to achieve it. HOW TO BECOME A RAINMAKER and HOW TO BECOME CEO author Jeffrey Fox and the host of THE CEO SHOW Robert Reiss’s THE MIND OF THE CEO, featuring the impact lessons from industry game changers based on direct interviews with the best CEOs in the world, to Mary Glenn at McGraw-Hill, by Delia Berrigan Fakis and Doris Michaels at DSM Agency (world English). Watch Nance Guilmartin’s interview on PBS Houston on “Living Smart” with Patricia Gras. View the video here. 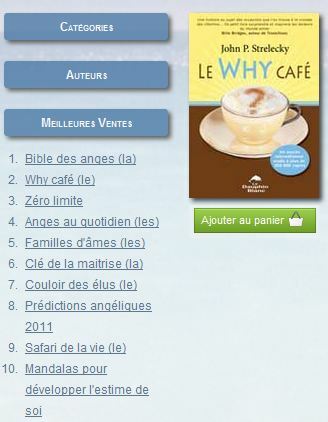 John Strelecky’s WHY CAFE, LIFE SAFARI, and BIG FIVE FOR LIFE remain strong sellers in Canada at No. 2 and 9 for Dauphin Blanc and No. 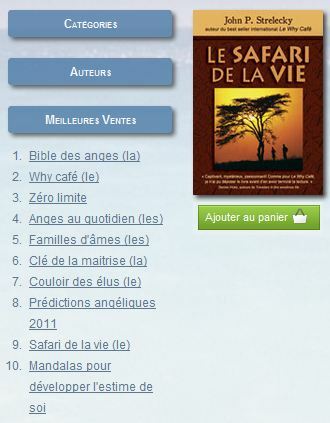 17 for the Renaud-Bray bestseller lists respectively. Harry Kraemer’s FROM VALUES TO ACTION remains strong at No. 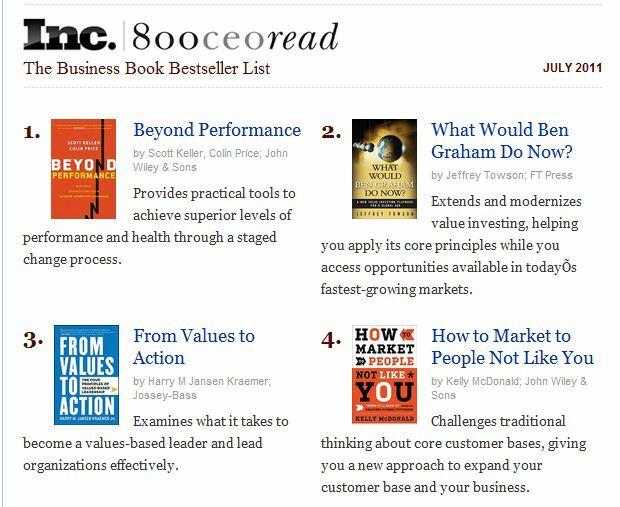 3 on the Inc. Magazine Business Book Bestseller List. NYT Bestselling HOUSE OF DIMON author Patricia Crisafulli and COMEBACKS author Andrea Redmond’s RWANDA, INC., a look at Rwanda and the turnaround the country has experienced in the 17 years since the genocide, illustrated as a business model, featuring direct access to President Paul Kagame, to Emily Carleton at Palgrave, by Delia Berrigan Fakis at DSM Agency (World English). Delia Berrigan Fakis has been promoted to executive literary agent at DSM Agency and will be representing projects in the areas narrative nonfiction, memoir, business, self-help, current events, inspiration, and literary fiction in addition to continuing to handle the sale of translation, audio and film rights for the agency. Harry Kraemer’s FROM VALUES TO ACTION hits No. 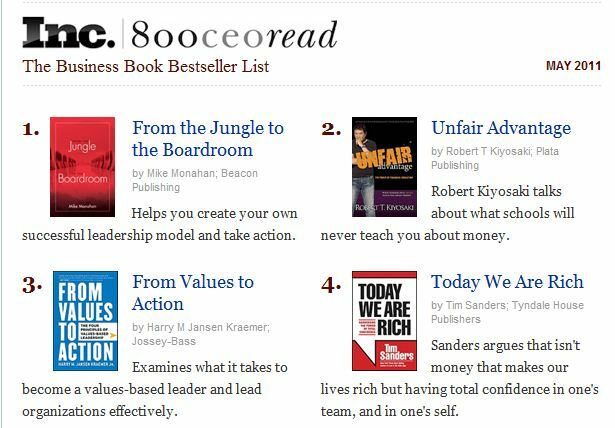 3 on the Inc. Magazine Business Book Bestseller List. DSM Agency donated more than 300 socks to the relief effort in Japan organized by author Jason Kelly. 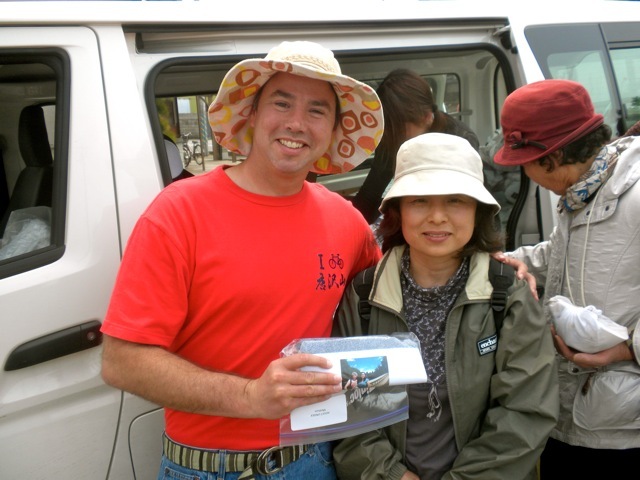 Socks for Japan has already distributed more than 40,000 pairs of socks to survivors. If you are interested in helping out with this worthy cause, please visit the website. Donations must be made no later than May 16th. Duke University’s Samuel Mordecai Chair at the School of Law and the Nicholas Institute professor chair at the School of the Environment, James Salzman’s THIRST: A History of Drinking Water, revealing the evolution of drinking water from its origins as a free resource and one of the most powerful forces in nature into one of the biggest businesses worldwide, to Rob Crawford at Overlook, by Doris Michaels at DSM Agency (World English). Corporations can increase their own business by supporting local nonprofits. Details asked when weighing what to spend on contributions. Explains how taking a moment to reevaluate our circumstances allows us to make more productive decisions and avoid disastrous miscommunications. A tale of family and heartbreak straddling WWII era Germany and modern day Texas asks: do you betray your fellow man or your loved ones? Is that the only choice you have? Fox shows tough times also give solid companies, strong managers, and potential rainmakers the opportunity to seize market share. At the Axiom Business Book Awards, Andrea Redmond and Patricia Crisafulli’s COMEBACKS won the gold medal in the Success/Motivation category. See the entire list of winners here. Author of THE BEST GAME EVER and A GREAT DAY IN COOPERSTOWN, Jim Reisler’s IGNITING THE FLAME: AMERICA’S FIRST OLYMPIC TEAM, the story of 14 men, assembled haphazardly in the late winter of 1896, who sailed to the first modern Games in Athens and won 11 first place medals, to Keith Wallman at Lyons Press, by Doris Michaels at DSM Agency (World English). John Elkington, co-author of THE POWER OF UNREASONABLE PEOPLE, has recently been awarded the 2011 Spencer Hutchens, Jr. Medal by the American Society for Quality as well as a Bellagio Center Fellowship by the Rockefeller Foundation. You can read about both of these honors here. Jason Kelly’s THE NEATEST LITTLE GUIDE TO STOCK MARKET INVESTING 2010 Ed. 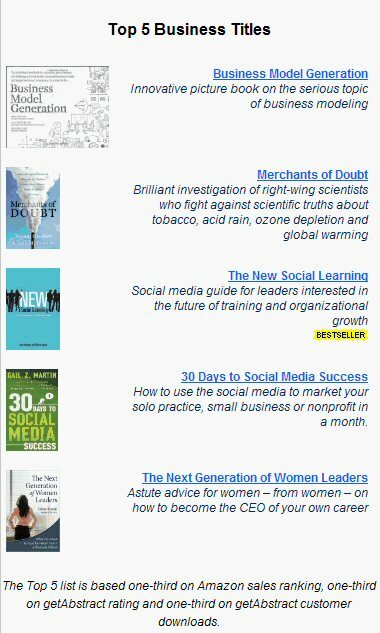 is the No.1 stock book. An interview with Sarah McCoy can be found in the January 2011 issue of the Barely South Review. Read the full piece here. The literary journal also features a chapter from one of McCoy’s upcoming novels. Enjoy the excerpt here. Author of THE NEXT GENERATION OF WOMEN LEADERS and Washington Post columnist Selena Rezvani’s PUSHBACK: How Smart Women Navigate Conflict, Negotiations & Tough Conversations, uncovering the unspoken rules of self-advocacy learned from the hard-won careers of America’s top businesswomen, to Genoveva Llosa at Jossey-Bass, by Doris Michaels at DSM Agency (World English). President and Founder, Abner Stein Ltd.